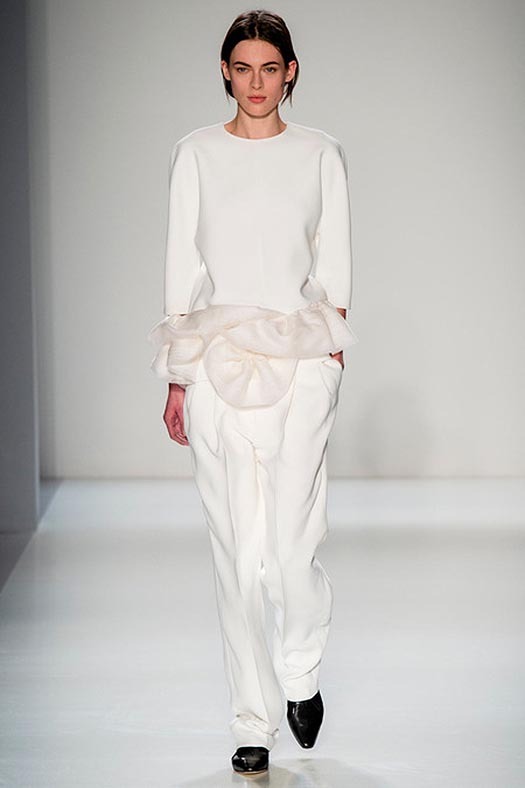 Critics are objective, fashion editors subjective in their views when it comes to the fashion shows. Critics explain and contextualise what is worth taking a moment to appreciate, and what doesn’t have any value or worse, when designers completely fail. 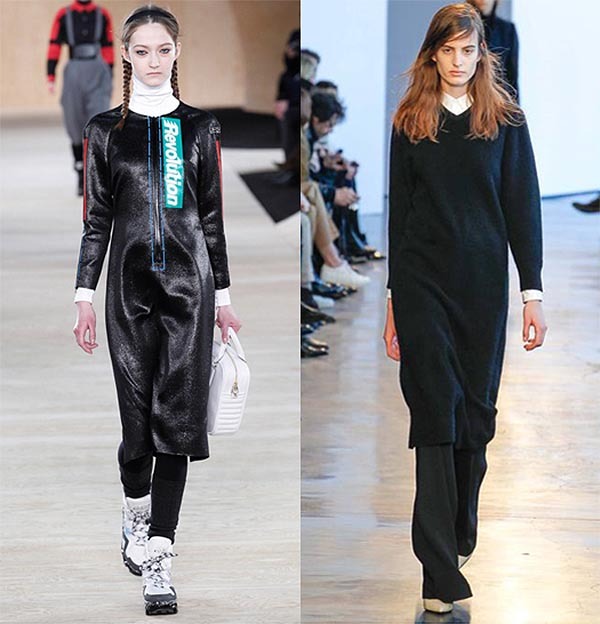 Fashion editors on the other hand treat the shows as elaborate shopping events, picking things they like. [ref]Or never mind the dresses, just look at the riot that took place after the a/w 2014 Chanel show with editors racing to get hold of logoed cardboard boxes used for the set. [/ref] It’s that black and white, right? Mixed responses to the aesthetic experience of looking at the shows surface each season, manifesting in critical reviews, ‘what-to-buy lists’ and editorials. Some spectators elaborate on the intellectual stimulation, some just indulge in the eye candy; but all of us, whether critics or editors, select stuff from the thousands of things that appear on the runway each season. This in turn can never be objective. There is a widely held belief that critics articulate objectivity. A great example of this is the amount of praise Cathy Horyn got for her ability to tell the ‘truth’ according to multiple articles published after she announced that she was stepping down as the fashion critic for The New York Times. But who’s truth was Horyn recounting in her reviews? The paper’s? Her’s? Or someone else’s? Or is there perhaps just one universal truth when it comes to fashion? Of course not. In his book Literary Theory, critic Terry Eagleton argues that all criticism is in some sense political, both because it is shaped by the ideological conditions in which its various currents emerge and because, however scrupulously it posits itself as apolitical, it performs a tactical role in dissemination and interpretation of culture that has inescapably political implications. And whist aiming for objectivity, it is the position of the critic that should be evident in order for readers to know what he or she stands for, Eagleton argues. If I were a woman… I would put comfort first. Far too many models look like they are in pain wearing torturous garments made to appear spectacular but the façade is held together by the most uncomfortable of scaffoldings. No need to awkwardly smile whilst grinding teeth together from the discomfort with these two looks. 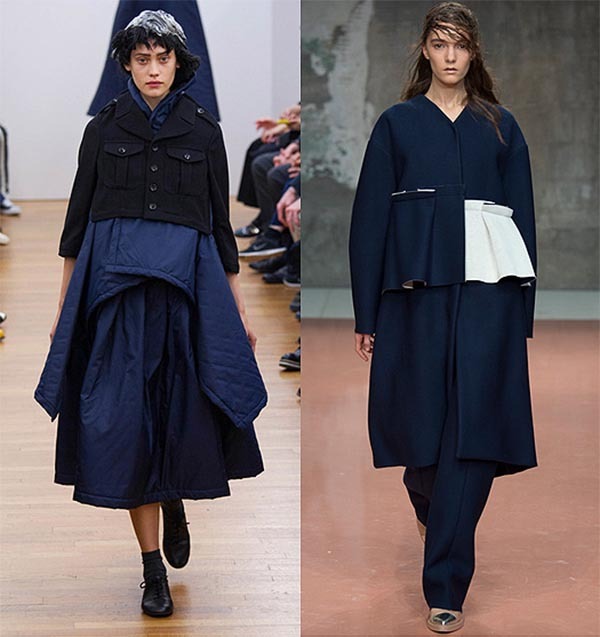 It is the weight of this The Row look 2 and the languidity of the Acne look 32 that appeals to me – corresponding with the themes around comfort, warmth, ease and flexibility that are at the top of my ‘shopping’ agenda – a position, I most often relate to in my role as a critic. If I were a woman… I would cover up as much as possible. This seemed to guide my selection process from the offset along with my apparent disinterest in anything even vaguely figure hugging. I’m not interested in writing about skirts that are so narrow they could be better classified as belts, nor have I ever really reposed to sheer or see-through surfaces. The appeal of these covered up looks is the intelligence they both convey. The revolution in clothing is covered up. If I were a woman… I would avoid most things decorative. A lot garments that appear on the catwalk, particularly when designed by men, seem incredibly fussy with elaborate embellishments, unnecessary detailing and jingle-jangle that make models on the runway look like Christmas trees. 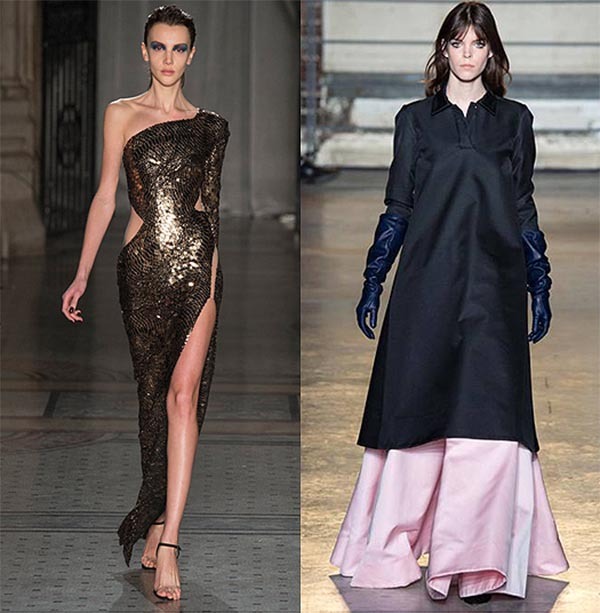 It’s not surprising that it is the female designers like Stella McCartney and Simone Rocha who get it right when it comes to things that are stuck on garments as additional extras. The more understated the design is, the more complex it becomes conceptually. 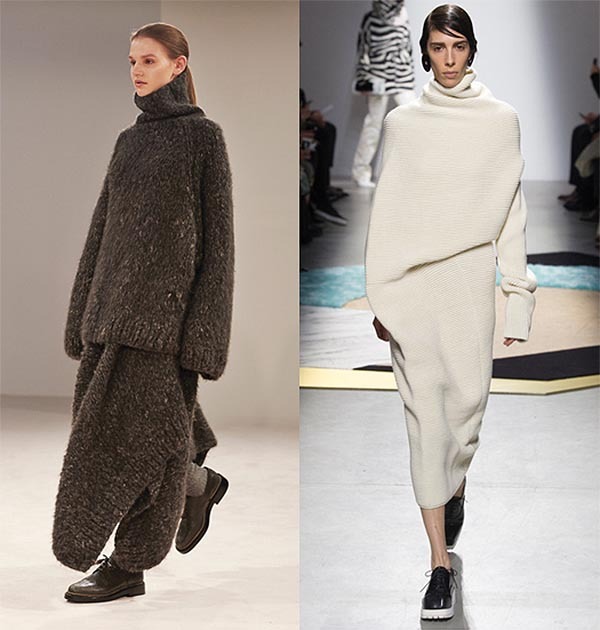 If I were a woman… I would mostly be wearing very, very big coats. Again, it’s the female designers who know who get it right. Smart and warm – just what you might want from a good winter jacket along with appearance that seems timeless rather than time sensitive unlike most things categorised under the label ‘fashion’. If I were a woman… I would avoid everything that was even vaguely referencing the 1960’s. Especially if it involved a powder blue leather mini dress with a neckline slit down to the nape and matching python Nancy Sinatra boots. Get a grip. If I were a woman… I would stay away from Alexander McQueen, Dolce and Gabbana and the rest of the designers who treat fashion as an excuse for theatrics. 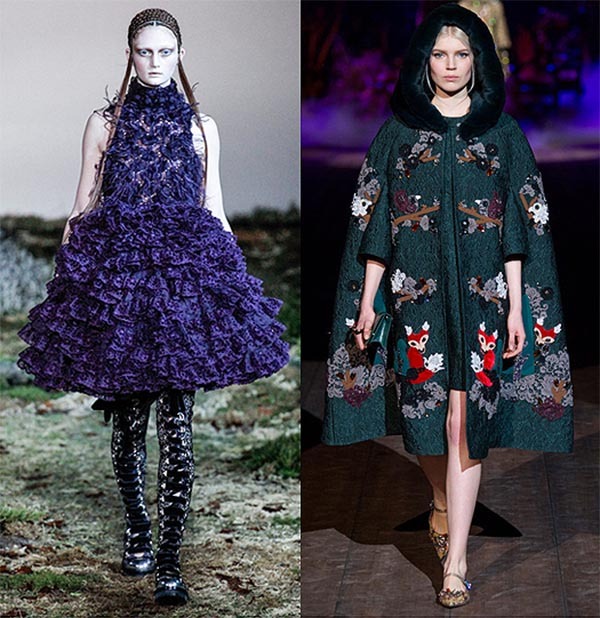 Little girl lost in the woods, haunted beauty, fashion fairytales – Freud would have a field day when analysing these. I’m sure this stuff makes fantastic props in fantasy fashion shoots (Grace Coddington…?) fuelling the idea portrayed by the majority of the glossies that fashion somehow is about dreams instead of the realities of the day-to-day life. If I were a woman…and if I would have to wear evening gowns – which in themselves I despise as objects – I would avoid all the dated 90’s style glitz and glamour body-con sequin, off the shoulder dresses with high slits that make women look like cheap. Instead, I would go for this full-length black and pink taffeta dress shirt ‘thing’ with midnight blue butchers gloves – sense of humour with the appropriate length to qualify it as eveningwear. Roll out the red carpet. 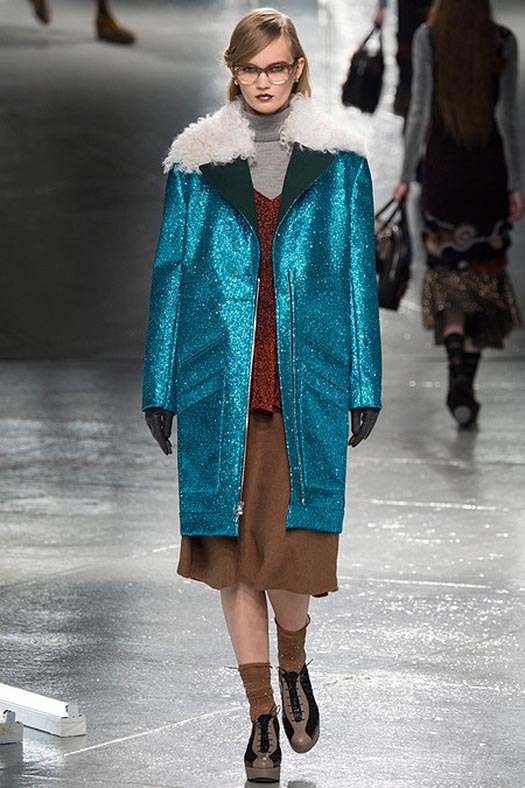 And… If I were a woman, I would definitely wear this blue sparkling winter coat, just because. Winter wardrobe completed, my subjective take on fashion has been an insightful assignment. Designers, themes and newsworthy stories that I would normally respond to as a critic are not featured in my shopping list. 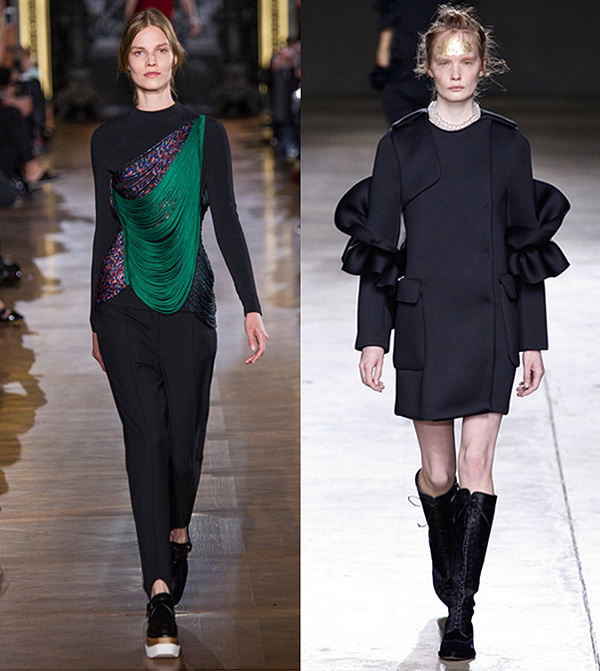 Ghesquiere’s debut at Louis Vuitton, the fun-vibes at Miu Miu or the sublime beauty of Raf Simons’ Dior would be at the top of my agenda as a critic. Yet, from my subjective shopping list, a position emerges: themes such as femininity and modernity are articulated along with time-relevance and design merits discussed. When writing about fashion, I’m constantly aiming to be more balanced, more thoughtful and more truthful about my craft – criticism. Yet, I cannot separate my writings from the aesthetics standpoint that I have grown to have. Truth, is not the holy grail of criticism, it is the fact that these discussions are taking place, selection process implemented and articulated and designs along with ideas around them interrogated whether it is with praise or condemnation. Objectivity is the aim but the closes we can get to it as critics, is a selection process with the articulation of the place it comes from.